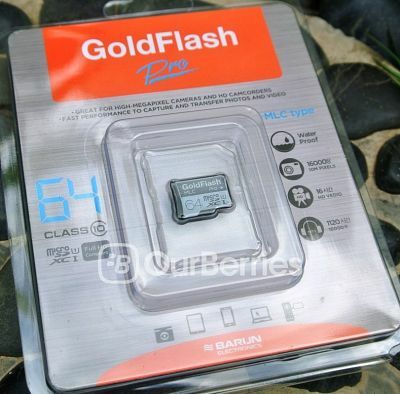 After looking at the lower-tier PLUS variant, today we will be looking at Barun Electronic’s higher end offering of GoldFlash microSD line of products. 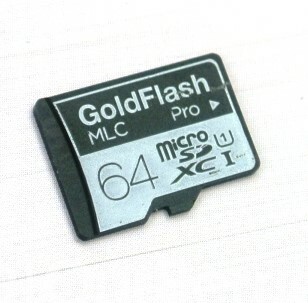 We will be looking at the GoldFlash Pro microSD, which is white and black in colour. For Barun Electronic’s, they have 2 series that are available to us, which is the PLUS and the PRO. 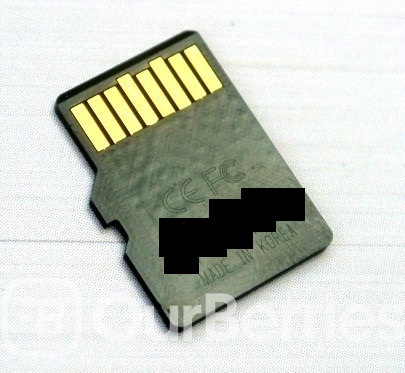 As mentioned earlier in the PLUS review, Barun Electronics is an OEM-based company, which is also ranked 6th in the global memory card market. It is based dominantly in Korea. On the front, it has a mixture of white and black for the text and background, a far cry from the gold and black of the PLUS variant. On the flip side, we have of course the contact pins as well as the FCC and CE certification. 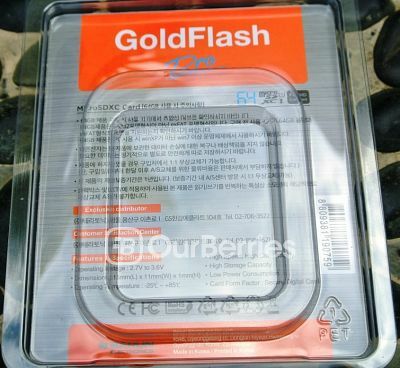 Apart from the Made in Korea inscription, we also have the Serial number and batch details, which are masked out. Similar to the PLUS series, these memory cards are also rated to be UHS-1 compatible and rated Class 10. 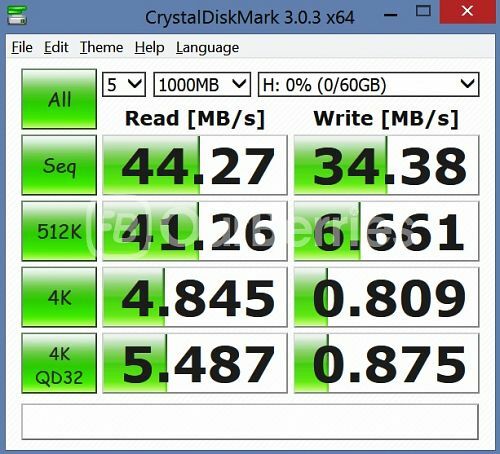 This means that we should be expecting a minimum performance of 10mb/s in both read and write, so does this live up to its rating? First, we will be running the H2testW, a free program that tests the raw or sequential read and write of the memory module. 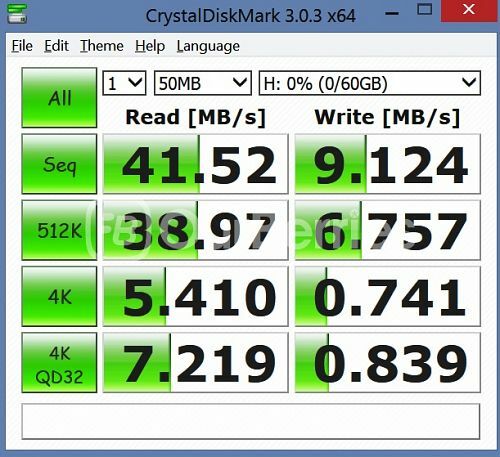 For the PRO card, its write started with 18 Mbyte/s, progressively (and quickly) went up to 30.6 Mbyte/s, at around 7GB, it had a spike, shooting up to 31.2 Mbyte/s and progressively to 32.1 Mbyte/s. Read started off with 38 Mbyte/s and went up progressively to 40.5 Mybte/s. As such, for use in a Digital camera or transferring of files, this seems to be pretty worthwhile! When we tried to run multiple 4K random as well as the block speed test, we received an IO error, as such we were unable to generate the graph for it. 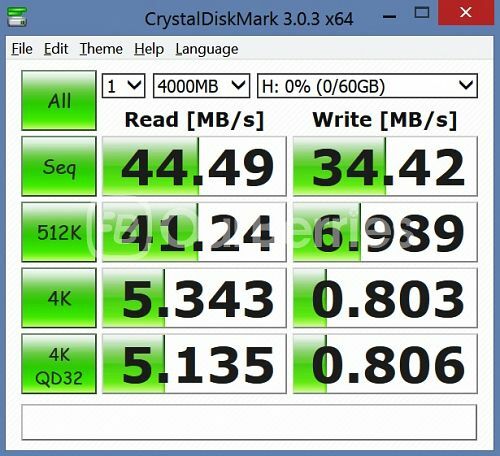 Powered with MLC nand in the heart of the memory card, and at the price tag of around SGD$49 (64GB) with courier delivery, the price is pretty good for such write speeds. Whilst its write and read are relatively premium I find it hard to recommend such a card because of the spike in speeds from the beginning and as such, in use in devices doing block file transfers such as camera’s, it might not be the best option either. On the mobile end, it has a rather average speed, so we really do recommend the use of the PLUS variant over this, if you are considering between the two. Wow never heard of this brand before!